The Oshkosh Fire & Emergency segment of Oshkosh Corporation includes Oshkosh Airport Products, Pierce Manufacturing, Frontline Communications, and Oshkosh Specialty Vehicles. Employing unmatched products, services, training and support, its mission is to protect and serve people around the globe with an integrated and comprehensive approach to emergency response. Oshkosh ARFF vehicles are fueled with the help of direct input from our customers. The vehicles are sold in more than 70 countries around the globe, and their capabilities have garnered a growing list of airport customers including Anchorage International, Chhatrapati Shivaji International, Dubai International, Montreal Pierre Elliot Trudeau International, Incheon International in South Korea, Denver International and Beijing Capital International. 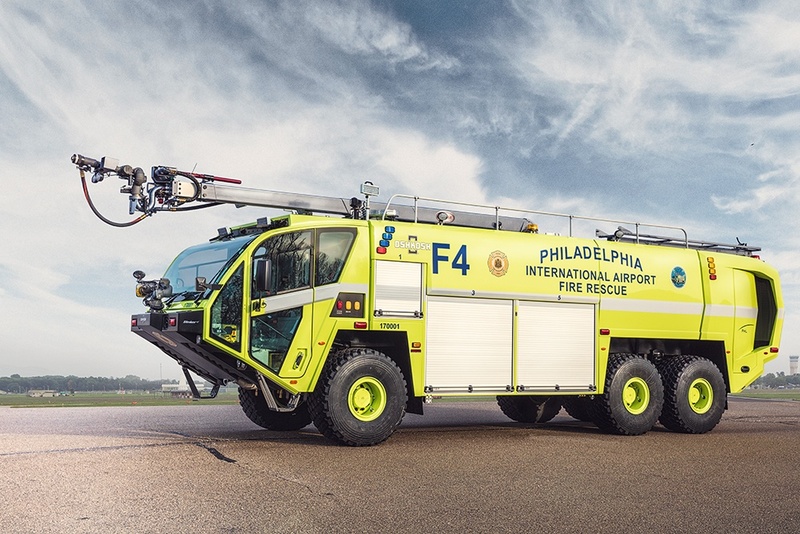 Category leading innovations are a hallmark of Oshkosh ARFF vehicles. Among them are ultra high pressure and multi agent firefighting technologies that deliver unmatched performance, TAK-4® independent suspension for excellent off-road mobility, and an ergonomically designed Mission Control driver’s environment with excellent visibility.